When you can't buy your podiums, what is a team to do? You've got the best facilities you can afford or about anyone for that matter. You’ve signed the best drivers you could manage to lure away from other teams or who were dissatisfied with the rides they had. Your engineers and crew have tirelessly spent themselves. . . . .and yet the podiums and the championship points refuse to accumulate beneath your team's banner. There is one more thing to be exploited. That's right, you can cheat. 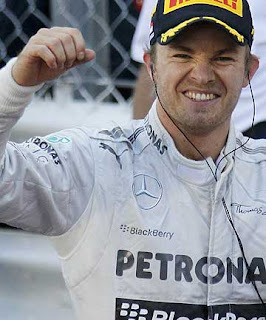 Teams have long since tried to spend their way to podium finishes and subsequent championships in Formula 1 and other sports for that matter. But few sports have the actual operating budgets that F1 demands so when a team plays here, the budgets are behemoth to begin with. But the cohesiveness of a team's makeup and a sense of integrity and belonging can work to prevent some huge wallet from swallowing up ALL the significant talent in the pool. That has been shown again and again. Toyota's example is the easiest to see. But the idea of not having the winningest team can really affect the compensating egos of some. These are relentlessly compelled to bend all they can to prove they are the best. When their pusillanimous convictions and values fail them, they actually prove themselves to be the worst. Some recent examples made international headlines. Let's look at a few of these, shall we? McLaren. Mighty McLaren has 8 constructor championships, 12 driver championships and yet that ego wouldn't let go. Because in 2007 they were fined 50 million pounds for spying on Ferrari's design. The scandal came to be known as 'Spy-gate'. But that didn’t prevent this racing powerhouse from trying another cheating method. The next time they cheated, they almost managed to ruin Lewis Hamilton's career. In the Australian GP of 2009 the team instructed Lewis to let the Toyota driven by Yarno Trulli pass him while they were following a safety car. An investigation was launched as the team had said that they did not give Hamilton this order. Additionally they tried to compel Hamilton to lie at the tribunal. When Hamilton refused to lie about it, the team quickly threw the Sporting Director, Dave Ryan under the bus and he was forced out of the team. But it wouldn't stop there. Much of the 'brains' of the team was found in Ron Dennis who was practically forced to give up his position at McLaren under the weight of the ill-conceived conspiracy. A heavy, but perhaps overdue penalty to pay for not keeping that ego in check. 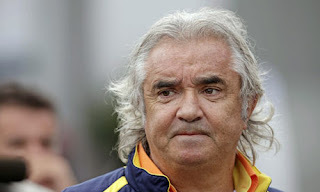 The next cheater we'll look at is Flavio Briatore. Yes the Renault F1 team 'Managing Director'. Flavio also had great success in the Benetton F1 team which then later became the Renault team. Flavio, not content with finding Fernando Alonso in his car thought he'd compensate for his car's shortcomings by having Nelson Piquet Jr. crash his Renault so as to give Alonso a better pit window at the 2008 GP of Singapore. Alonso had already proven himself. It was up to the team's other talent to prove itself in adapting to rule changes and other competitive forces working on all the teams. Not good enough for Flav. Cheating was the way to go for him. And for those of us that remember there was a black eye on Nando for a while too. Flavio was banned from F1 for life. This brings us to our latest prominent cheating episode which has been called, 'Test-gate'. In this current debacle the Mercedes team had the team drivers do testing of tires with the current season's chassis. That is a no-no and against the regulations and every team knows this and has been compliant with the regulation. The Mercedes car had been struggling terribly with aero/grip problems as they related to tire wear. The cars, no matter how they were driven would wear the rear tires out way ahead of their competitors and lose any advantage gained in qualifying. Often they wouldn't make the podium or at times even significant points. Ross Braun quickly volunteered to fall on a sword and take the blame for this saying it was he who directed the team to use current car in tire testing. On his own he didn't seem to have a problem producing a winning car back when the now Mercedes team was the fledgling Braun F1 team. At the end of the investigation the FIA gave them what amounts to a finger wave. We can't even call it a slap on the wrist. The punishment meant that the next time testing was done Mercedes was to be excluded from the 'Young Driver Program'. The funny thing is that after this feather weight 'punishment' was negotiated for, Mr Lauda had the nerve to say that it was unfair. It is also interesting that Pirelli's latest tire development has now resulted in revisiting the longevity issues that they had gotten a handle on. 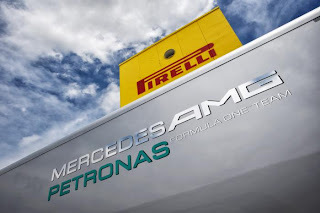 The relationship between Pirelli and Mercedes seems curious in light of what tire longevity was like after the 'testgate' affair occurred, and before the changes resulting from the Silverstone debacle and then after they were implemented at the German GP. So there you have it. Not winning races? Cheat and soon enough you will win. Make sure you are a significant engine supplier too so slack can be cut to you in mile lengths. Don't forget to be a little creative in which rules you bend so that you can say, that it made no difference. 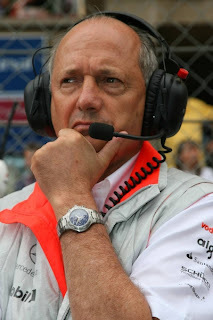 Perhaps the effects of cheating in this way are best summed up by the team's own Chairman Niki Lauda in terms of timing when he said after Silverstone, "Now we are improving by at least a tenth every race, whereas in the past years we always went backwards in the second half of the season." This article is garbage. Don't quit your day job. We want everyone to read OneHotLap. Even the weak minded.